Cheering for your favorite Seattle sports teams when you’re away from home, or even in home port, is more fun when you can share the excitement with other fans. But where can you find another Seahawks twelfth man in, say, Central Florida? Which L.A. sports bar is carrying the Seattle Storm playoff games? Which audio and video feed in downtown Seattle offers the best way to capture the energy at Century Link at a few less decibels? Where can you catch a Sounders game while munching on Asian or Indian cuisine? 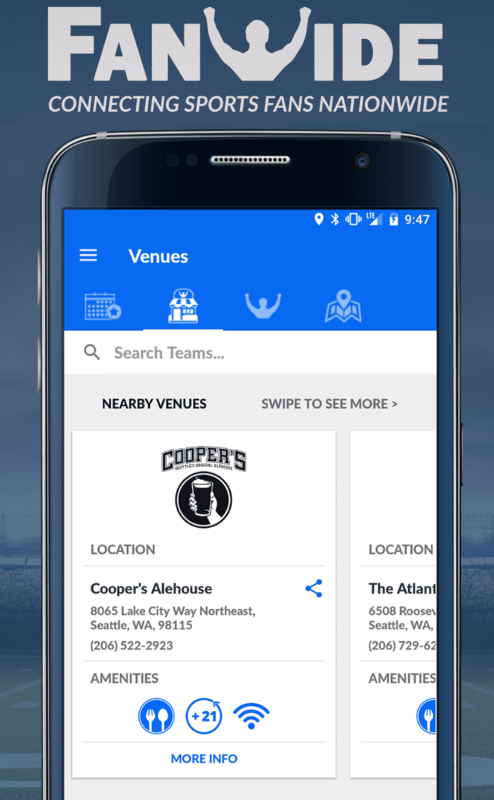 Seattle-based FanWide has made it a snap to locate where your kind of watch party is taking place for every team and in any city. The free Website and mobile app connects not only team revelers on game day but builds fan communities around those teams, partnering with existing fan clubs and alumni associations to improve fan meetups and team synergy. FanWide was recently named “the most disruptive technology likely to shape the future of basketball” by winning the Yahoo-sponsored HYPE Sports Innovation Global Competition. Their historic Pioneer Square location is the uplink to an unmatched Microsoft Azure database in the cloud. It is the largest fan club database for the NFL, NCAA Football, NBA, NCAA Basketball, MLB, NHL, professional soccer and eSports, covering over 1,000 pro, college, and international teams. Since launching in 2016, FanWide has promoted almost 750,000 events for 12,500 organizations nationwide. The fan appreciation of teams and athletes is reciprocal. Teams can send athletes or swag to popular venues for special events. Players are even coming onboard. 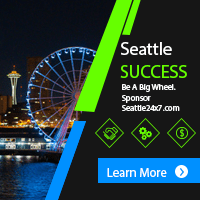 The company recently named Seattle Seahawk defensive star and Pro Bowl standout Cliff Avril as both a new team member and an investor. FanWide encourages athletes, sports influencers, sponsors, and investors to contact the company if they are interested in promoting their causes and connections, helping to build their brands and exposure. 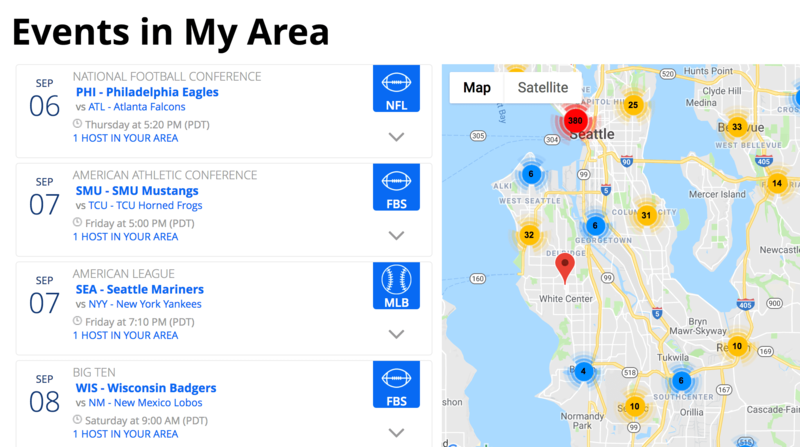 One of the hidden gems of the FanWide Web site is the Sports Data Platform where users can tap into the FanWide cloud by “Sport” or by “Area” and map sports team fandom in different geographies. 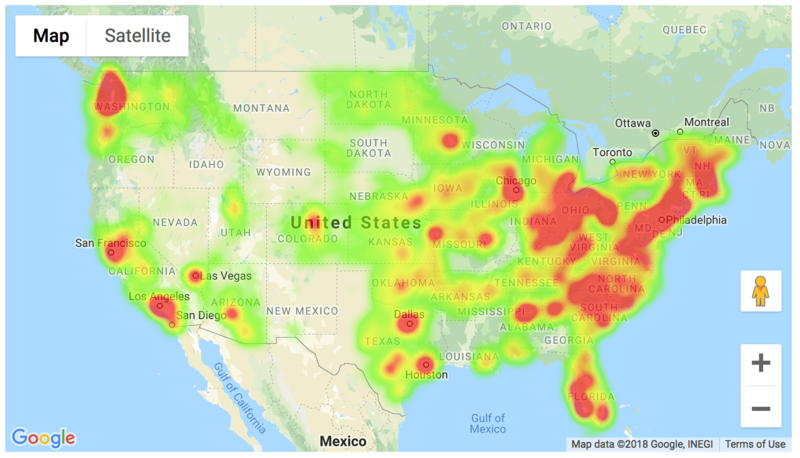 For example, the heat maps can show you where the highest concentration of fans exist in Seattle, or any state, city or county, for any major sport. Where are the most hockey fans in the Pacific Northwest? Answer: Seattle. How many hockey fans might Seattle attract from Pierce, Snohomish and Kitsap Counties? There are the numbers. What postal codes are the most populated with NHL fans to drop the puck on? Slicing the data of over 8 million association and fan club members is sports analytics at its finest.